The Korean Chosun Ilbo newspaper has published a story indicating that the ROK Defense Ministry has received President Lee Myung-Bak’s blessing to spend as much as $2.14 billion to buy between 500 and 600 new missiles. The proposed buy is expected to be extended over a five-year period. Korea’s Yonhap News Agency also released a similar story. 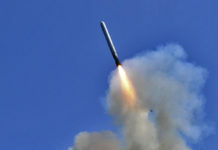 According to the news reports, the Defense Ministry requested approval for the missile procurement following North Korea’s failed satellite launch on 13 April as a necessary step towards reinforcing the South’s defense capabilities against Pyongyang’s campaign of hostile provocations directed toward the South. The $2.14 billion funding will be used, according to South Korean sources, to procure additional numbers of its Hyunmu-3 series cruise missiles and increase the number of Hyunmu-2 series of tactical ballistic missiles available for deployment. On 19 April, Seoul unveiled a new cruise missile with a reported range of 1,500 kilometers giving the South the ability to strike targets located anywhere in North Korea. This missile, the Hyunmu-3C, represents a quantum leap in the South’s capability of responding to any armed provocations Pyongyang might initiate in the future. South Korean sources report that the Hynmu-3C has been deployed along the border with the North and are aimed at strategic targets that represent the most immediate threat to the South. On the same day Seoul publicized its new cruise missile, officials also introduced a new tactical ballistic missile with features similar to the Hyunmu-2B. Although South Korea abides by the dictates of the Missile Technology Control Regime (MTCR) and a 2001 agreement between the US and South Korea that restricts ballistic missiles to a maximum range of 300 kilometers, some sources claim the new ballistic missile boats a range of 500 kilometers. The US and South Korea have been negotiating to lift the 300 kilometer range limit on ballistic missiles partly in response to North Korea’s recent failed rocket launches. As a cruise missile, the Hyunmu-3C is not subject to the range limitations imposed on tactical ballistic missiles and with a range of 1,500 kilometers would be able to strike vital installations and facilities located anywhere in the North. 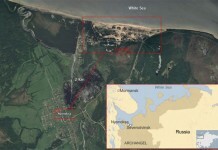 The missile’s range would also bring it within reach of some locations in Russia and China. The Hyunmu-3C can be launched from ground-based mobile launchers as well as Aegis-capable ships. Both new missiles are reported to carry a 500 kilogram warhead and are believed to be more accurate than other missiles now in service. 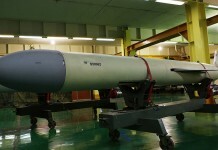 The Hyunmu-3C is said to be more accurate than the US Tomahawk cruise missile with the ability to hit within one to three meters of its intended target. For more than 30 years the United States has made every effort to discourage Seoul from developing long-range ballistic and cruise missiles for fear that a proliferation of missiles on the Korean Peninsula could provoke armed conflict between the two Koreas. Despite US reluctance to assist, South Korea continued development efforts that culminated in the production and deployment of the 180-kilometer range Hyunmu-1 and 300-kilometer range Hyunmu-2A/B ballistic missiles, the 500-kilometer range Hyunmu-3A and Hyunmu-3B cruise missiles, and now the 1,500-kilometer range Hyunmu-3C. Last year Seoul deployed an unspecified number of its MGM-140B Army Tactical Missile Systems (ATACMS) surface-to-surface missile batteries closer to the North Korean border. The ATACMS fires a 610 millimeter missile from an American MLRS rocket launcher, has a range of 165 kilometers, and features GPS guidance. 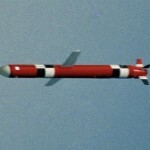 South Korea currently has only 220 missiles. North Korea is believed to have approximately 800 road-capable mobile missiles of which 600 are believed to be Scuds able to hit South Korean targets. The North also has some 200 Rodong-1 missiles with enough range to reach Tokyo. The reliability and effectiveness of Pyongyang’s missile force has often be called into question. 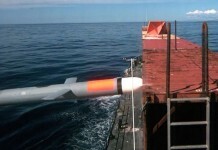 On 22 May, the US Defense Security Cooperation Agency (DSCA) published formal Congressional notification of the government’s intent to pursue a potential Foreign Military Sale (FMS) of 18 UGM-84L Submarine launched Harpoon Block II All-Up-Round Missiles to Seoul. 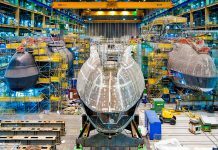 The proposed buy includes necessary parts, logistical support, equipment, and training and is estimated to be worth $84 million. A sizeable force of long-range cruise missiles gives South Korea a very credible deterrent to North Korean provocations. Even when carrying a modest conventional payload, cruise missiles in large numbers are a fearful threat that may give Pyongyang some pause before initiating any action in the future that may exacerbate tensions on the Peninsula. 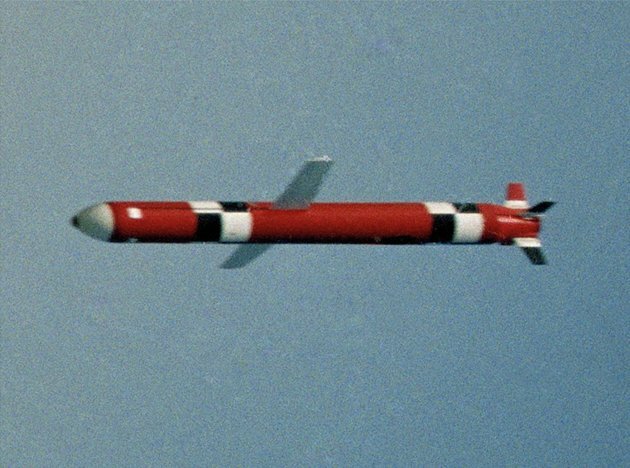 With sufficient range and accuracy to target critical infrastructure facilities in the North, long-range cruise missiles represent a greater risk than their size and payload indicate. In addition to a missile build-up, South Korea is also shopping around for new attack helicopters and a fifth-generation fighter to modernize and expand its military prowess. Seoul appears poised to create a modern force of significant size, strength, and capability. Next articleWhere are the MRAP Going?